In the oriental culture, the crane carries much symbolism and is associated with the heavens. The theme of the crane is also found in many artworks and imagery in Chinese art and sculptures. 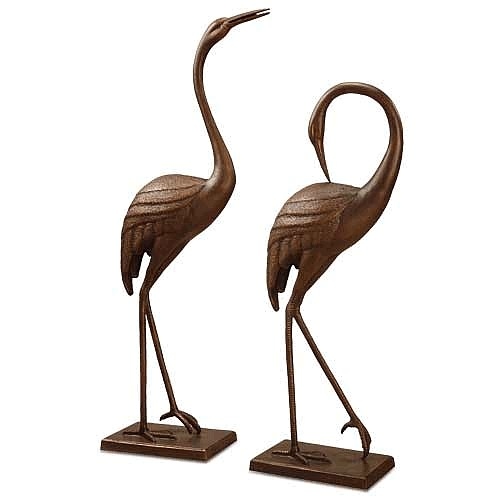 Highlighting a set that features one looking up and the other, looking down, our crane sculptures make perfect gift ideas for the couple. Aluminum. Hand finished. Normally ships in 2-3 weeks. Free Gift with Purchase of This Item.